All laundry done according to prevailing best practices. John Smoltz is, at this point in his second career as a color commentator, not really that good at the job. He understands the game well, but he’s also drowsy and grouchy in all the ways that old ballplayers tend to be: checked out and skeptical and reflexively salty about today’s players, grumpily grudgeful about seemingly every change that has come to the game since he left it. There were moments during the NLCS when Smoltz’s lack of interest in the game and powerful desire to be on a golf course was so intense that many viewers reported seeing ghostly images of Phil Mickelson appear on their television screens. 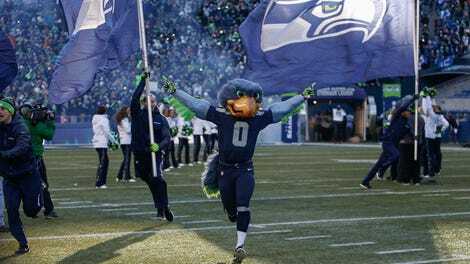 He’s also prone to serving up perfectly circular rhetorical gopher balls in a way that honestly doesn’t play great in October. Something happens to ballplayers as they age. It’s not quite distinct from what happens to other people as they get older, but it seems to be faster and harsher and tangier. You can hear it when they talk about baseball, a sort of narrowing and stiffening and occlusion of the spirit. If you are old enough to remember these old ballplayers from their vivid and vital prime, or if they’re young enough that their prime wasn’t really so long ago, this tends to stand out all the more. Smoltz was never the most stylish or charismatic ace in baseball, but he was one of the most reliably excellent pitchers in the sport for a solid decade. Then Smoltz came back from Tommy John surgery and pitched for another nine seasons, first as a supremely dominant closer and then once again an excellent starter, and then he was hurt again, and then he was abruptly and incurably old, and then he was gone. Smoltz will either get better at broadcasting or he won’t. I wouldn’t bet against him, but he is already and deservedly in the Hall of Fame and two decades of mumbling into a microphone wouldn’t touch the legacy he made. The injury that cleaved his career cleanly in two is a big part of the story that got him to Cooperstown—neither half of his career would have quite been enough, but the whole of it fused around the hole in the middle was more than enough to get him in on his first ballot. And yet that injury is not the injury most closely associated with Smoltz’s career. There is a fake one, which is equally a part of the John Smoltz legend. It’s easy to see why: The image of John Smoltz suffering a burn on his chest while attempting to iron a shirt that he was wearing is just that irresistible. Baseball writers have made up picaresque goofinesses and hung overdetermined nicknames on players for as long as anyone has written about baseball. This was because sports journalism was understood as entertainment and presumably also because ballplayers in the 1920s were generally as dull as ballplayers are now and so required a little extra literary goosing. And so sportswriters turned several generations of surly macho dipshits and degenerate boozehounds and gormless bumpkins into characters that were lighter and quirkier and infinitely safer than the real thing—larger than life, but also not really lifelike. It would not have been any more honest for a writer to have noticed a small burn on the chest of, say, Dizzy Dean, and then spin it into a story about Ol’ Diz dopily attempting to iron a shirt that he was wearing at the time than it was for Atlanta Journal-Constitution Braves beat writer Joe Strauss to write something similar about Smoltz. But everyone would have at least known the rules of the game, then. The story itself, which ran in the paper on Monday, March 26, 1990, barely even qualifies as a story—it’s a spring training blurblet, attributed to Strauss but not otherwise bylined, that ran under the headline Smoltz Burns Himself In Chest Ironing Shirt—While Wearing It. It ran on a crowded page C2 of what was then the Journal And Constitution between some letters to the editor and an anodyne pullquote from Georgia Tech wing Brian Oliver, and directly above stories about Jack Nicklaus making his debut on the PGA Senior Tour, Yankees outfielder Roberto Kelly almost getting kidnapped in Panama, and Vikings running back D.J. Dozier’s spring training experience with the Mets. “I couldn’t believe it,” Smoltz is quoted as saying, “I’ve done it five or six times and never had that happen.” And that’s the whole thing, except for how thoroughly it was not the whole thing. When you explain your ironing technique. “Let’s face it,” Downey writes. “This kid is definitely a real Smoltz. He’s about the Smoltziest player I’ve ever seen.” That could have been it, too: some daddish japery in a spring training news of the weird column, gone without a trace whenever the next bit of dizzy and half-believable ballplayer color floated by. And yet, for reasons that have more to do with the story’s undeniable slapstick appeal than any of the perverse incentives of the contemporary media economy, it hung around. Smoltz was right that there was nothing he could do to stop it, especially once the garbage-chugging imperatives of online media came into play. The internet, and especially the slideshow-powered clickbait economy that predominated earlier this decade, needs waste to eat so that it can extrude more waste in turn; the necessities of scale in that market are such that there’s no real sense in being too choosy about what kind of poo-poo goes in or out. And so the story of Smoltz and the iron has been aggregated and re-aggregated and mushed into slideshows of the 10 and 11 and 40 and 50 and 100 wackiest sports injuries not just by junk-processing sites with names like Bacon Sports and Neatorama and Sports Retriever but by ESPN and Sports Illustrated and Bleacher Report and For The Win and FanSided and, in 2011, Smoltz’s current employers at Fox Sports. In 2008, at the last Braves spring training of his career, Smoltz took the Orlando Sentinel’s Josh Robbins aside to lay out his version of what actually happened on the day he didn’t iron a shirt while he was wearing it; the incident had recently been mentioned in the paper in connection with Hunter Pence injuring himself on a sliding door. The John Smoltz Ironed Himself story was by then a week shy of its 18th birthday and Smoltz was two months shy of his 41st; he had made eight All-Star teams. “I didn’t steam it while it was on,” Smoltz told Robbins. 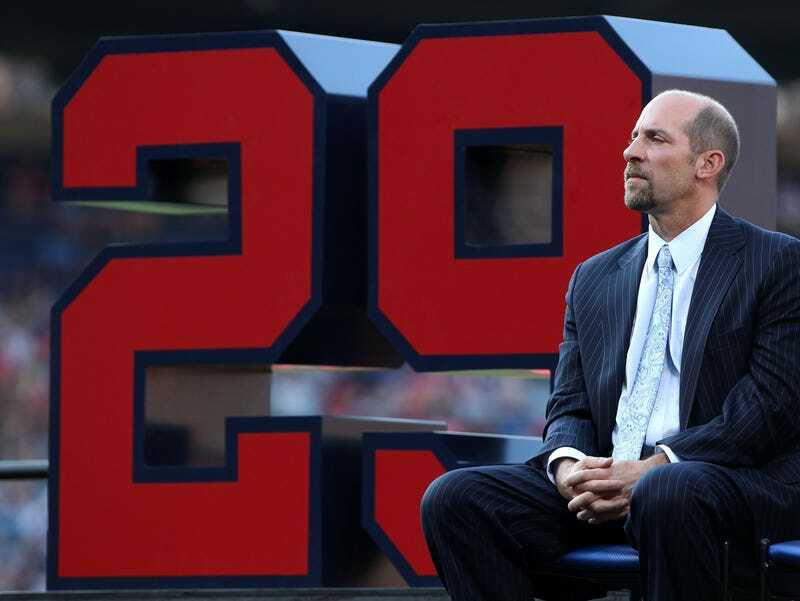 “I set the steamer down, and when I set it down, water popped out and caught me on the chest.” Smoltz said that the whole story was the result of Strauss, who died in 2015, overhearing a conversation between Smoltz and his teammates; he’d never been asked to comment on it. Smoltz clarified that the burns didn’t even look the way that Strauss had described, either. It actually looked like a hickey, he said. Robbins mentions in his story that Smoltz didn’t ask for a correction. At that point, he surely knew better than to think it would make a difference. The legend had long since become fact, and then it had become fodder. At some point, as with any other scar, it’s just about how you wear it.